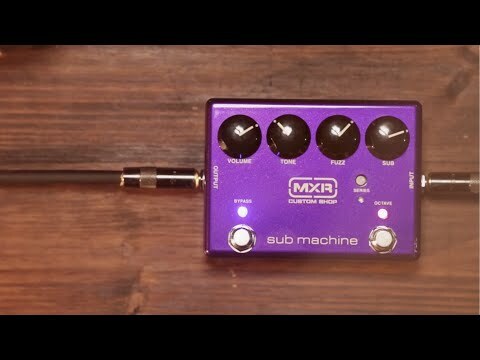 The MXR M225 Sub Machine Fuzz kicks open the door to epic and unbridled sonic exploration. This mean little box combines the shaggy vin.. The MXR M225 Sub Machine Fuzz kicks open the door to epic and unbridled sonic exploration. This mean little box combines the shaggy vintage tones of the La Machine Fuzz with a growling sub octave circuit, giving you a one way ticket to the sonic frontiers of heavy.